The mission of DTSC is to protect California’s people and the environment from harmful effects of toxic substances through the restoration of contaminated resources, enforcement, regulation and pollution prevention. WHAT IS BEING PROPOSED: The Department of Toxic Substances Control (DTSC) invites you to comment on a PEA Report and two LUCs for the properties located at 6801 Suva Street & 6814 Foster Bridge Road, Bell Gardens, CA 90201 (Site). Based on review of the PEA Report, DTSC has determined that land use restrictions are necessary to protect human health and the environment. The restrictions will prohibit: 1) building of sensitive uses such as residences, day cares, schools, and hospitals; 2) altering the current configuration of the existing Suva building; and 3) disturbing the soil at the Site. The LUCs will be recorded in the property’s chain of title and will restrict future land uses at the Site to industrial or commercial use. This project does not require an evaluation under the California Environmental Quality Act. From 1950 to 2004, Mid Cities Paper Box Company operated the Site for manufacturing and printing of cardboard boxes, using glues and other solvents which contained tetrachlororethene (PCE) and trichloroethene (TCE). Various investigations found PCE and TCE concentrations in indoor air, soil, soil gas, and groundwater. Contamination concentrations are within commercial/industrial levels. PUBLIC COMMENT PERIOD: We encourage your participation. Public comment concerning the draft LUCs may be submitted in writing to Ms. Rania A. Zabaneh, DTSC Project Manager, 5796 Corporate Avenue, Cypress, CA, 90630 or Rania.Zabaneh@dtsc.ca.gov. All emailed or written comments must be received or postmarked no later than August 19, 2016. All comments will be considered by DTSC before making a final decision. DTSC’s Response to Comments will be provided to all who submit their contact information along with their comments. A public meeting has not been scheduled for this project. For Questions, please contact: Rania Zabaneh, DTSC Project Manager at (714) 484-5479, Rania.Zabaneh@dtsc.ca.gov; Tim Chauvel, DTSC Public Participation Specialist at (714) 484-5487, Tim.Chauvel@dtsc.ca.gov; and for media enquiries, contact Jorge Moreno, DTSC Public Information Officer at (916) 327-4383, Jorge.Moreno@dtsc.ca.gov. NOTICE TO HEARING IMPAIRED: TTY users may use the California Relay Service @ 711 or 1-800-855-7100. You may also contact the Public Participation Specialist listed at the end of this update. El misión del DTSC es proteger a la población de California y el medio ambiente contra los efectos novicos de la sustancias tóxicas a través de la restauración de los recursos contaminados, vigilancia e inspección, normas y prevención de la contaminación. LO QUE SE PROPONE: El Departamento de Control de Sustancias Tóxicas (DTSC) invita al público a dar comentarios sobre una “Evaluación Preliminar de Riesgos” y dos “Acuerdos de Uso de Terreno” de dos fincas situadas en la calle 6801 Suva y 6814 de Foster Bridge Road, Bell Gardens, CA 90201 (Sitios). Por medio de la “Evaluación Preliminar de Riesgos”, DTSC ha determinado que restricciones de uso de la propiedad son necesarias para proteger la salud humana y el medio ambiente. Las restricciones prohibirán: 1) la construcción de edificios sensibles, como residencias, guarderías, escuelas y hospitales; 2) alterar la configuración del edificio Suva; y 3) alterar la tierra del sitio. Las restricciones serán registradas en dos “Acuerdos de Uso de Terreno” firmados por el representante de la propiedad y DTSC. Los “Acuerdos de Uso de Terreno” seran registrados en orden del título previo para dar aviso a futuros dueños. Este proyecto no requiere una evaluación bajo la Ley de Calidad Ambiental de California. Desde 1950 a 2004, la empresa “Mid Cities Paper Box Company” operaba en el sitio para la fabricación e impresión de cajas de cartón, usando pegamentos y otros solventes que contenían tetraclororetileno (PCE) y tricloroetileno (TCE). Investigaciones previas han encontrado concentraciones de PCE y TCE en el aire interior, suelo, gas del suelo y las aguas subterráneas. Las concentraciones de contaminación están en niveles comerciales / industriales. Periodo de Comentario Público: Los invitamos a participar. Comentario público acerca de los “Acuerdos de Uso de Terreno” se pueden mandar a Rania A. Zabaneh, Administradora de Proyecto en DTSC, 5796 Corporate Avenue, Cypress, CA, 90630 o Rania.Zabaneh@dtsc.ca.gov. Todos los comentarios entregados por escrito o por correo electronico necesitan ser recibidos o con sello de correos, antes del 19 de Agosto del 2016. Todos los comentarios recibidos por DTSC serán considerados antes de hacer una decision final. DTSC emitirá una respuesta a comentarios para aquellas personas que incluyan su información de contacto. Diriga sus preguntas con: Rania Zabaneh, Administradora de Proyecto en DTSC al (714) 484-5479, Rania.Zabaneh@dtsc.ca.gov; Tim Chauvel, Especialista en Participación Publica en DTSC al (714) 484-5487, Tim.Chauvel@dtsc.ca.gov; y para información a medios de comunicación, contactar a Jorge Moreno, DTSC Oficial de Información Pública al (916) 327-4383, Jorge.Moreno@dtsc.ca.gov. Pursuant to Revenue and Taxation Code (R&TC) Section 3381, the Notice of Sale of Tax-Defaulted Property Subject to the Tax Collector’s Power to Sell in and for the County of Los Angeles, State of California, has been divided and distributed to various newspapers of general circulation published in said County for publication of a portion thereof, in each of the said newspapers. Whereas, on May 3, 2016, I, JOSEPH KELLY, Treasurer and Tax Collector, was directed by the Board of Supervisors of the County of Los Angeles, State of California, to sell at online auction certain tax-defaulted properties, which are subject to the Tax Collector’s power to sell. Public notice is hereby given that unless said properties are redeemed prior thereto, I will, beginning on Saturday, August 6, 2016, at 3:00 p.m. (Pacific Time), offer for sale and sell said properties at an online auction to the highest bidder for cashier’s check, bank-issued money order, or wire transfer in lawful money of the United States for not less than the minimum bid. The sale will run continuously through Tuesday, August 9, 2016, at 12:00 p.m. (Pacific Time) at www.bid4assets.com/losangeles. Parcels that receive no bid will not be re-offered for a reduced minimum price. The minimum bid for each parcel will be $1,426.00, as authorized by R&TC Section 3698.5(c), and Los Angeles County Code Section 4.64.150. Prospective bidders may obtain registration and detailed information of this sale at www.bid4assets.com/losangeles. Bidders will be required to submit a refundable deposit of $5,000 at www.bid4assets.com/losangeles. Online registration will begin on Friday, July 1, 2016, at 8:00 a.m. and end on Friday, July 29, 2016, at 5:00 p.m. (Pacific Time). To participate in the auction by mail or fax, bidders may call Bid4Assets at 1(877) 427-7387. Registration must be completed by Tuesday, July 26, 2016. Only cashier’s check, bank-issued money order, or wire transfer will be accepted at the time of registration. Pursuant to R&TC Section 3692.3, all property is sold as is and the County and its employees are not liable for the failure of any electronic equipment that may prevent a person from participating in the sale. If the property is sold, parties of interest, as defined by R&TC Section 4675, have a right to file a claim with the County for any proceeds from the sale, which are in excess of the liens and costs required to be paid from the proceeds. If excess proceeds result from the sale, notice will be given to parties of interest, pursuant to law. All information concerning redemption of tax-defaulted property will be furnished, upon request, by JOSEPH KELLY, Treasurer and Tax Collector. If redemption of the property is not made according to law before Friday, August 5, 2016, 5:00 p.m. (Pacific Time), which is the last business day prior to the first day of the auction, the right of redemption will cease. The Assessor’s Identification Number (AIN) in this publication refers to the Assessor’s Map Book, the Map Page, and the individual Parcel Number on the Map Page. If a change in the AIN occurred, both prior and current AINs are shown. An explanation of the parcel numbering system and the referenced maps are available at the Office of the Assessor, 500 West Temple Street, Room 225, Los Angeles, California 90012. Should you require a copy of the list explaining the abbreviations used in this publication, please visit the Treasurer and Tax Collector’s Office, 225 North Hill Street, Room 130, Los Angeles, California 90012, or call (213) 974-2045. I certify under penalty of perjury that the foregoing is true and correct. Executed at Los Angeles, California, on June 30, 2016. LOVELAND STREET ENTRY C.I.P. NO. Notice is hereby given that sealed bids will be received by the Purchasing Agent or Purchasing Agent’s designee of County Sanitation District No. 2 of Los Angeles County, at the Office of the Chief Engineer of the District, 1955 Workman Mill Road, Whittier, California 90601, up to the hour of 11:00 A.M., on Thursday, August 4, 2016 for Closed Circuit Television Inspection Services for Approximately 500 Miles of Trunk Sewers. A mandatory pre-bid meeting is scheduled for Thursday, July 28, 2016 at 10:00 a.m. at the Compton Field Office located at 920 South Alameda Street, Compton, CA 90220. All work shall be performed in accordance with Districts’ Special Provisions dated, July 2016 and the Standard Specifications for Public Works Construction, 2015 Edition, complete with the District Amendments dated, December 2015 thereto, which are on file in the Office of the Chief Engineer of the District, 1955 Workman Mill Road, Whittier, California 90601, to which documents bidders are referred. Within 15 calendar days of award said bidder shall furnish good and sufficient bonds as specified in the Standard Specifications, for the faithful performance of said agreement and for the payment of all labor performed and materials used on said work and shall furnish evidence of required insurance. As to any monies withheld to insure Performance, at the request and expense of the Contractor, securities equivalent to the amount withheld shall be deposited with the District, or with a state or federally chartered financial institution as the escrow agent. Upon satisfactory completion of the contract the securities shall be returned to the Contractor. This option provided to Contractor is as provided in the California Public Contract Code Section 22300; should said law cease to be effective, Contractor shall not have this option as to any progress payment paid or payable after the date the law ceases to be effective. Securities eligible for investment under this provision shall include those listed in Section 16430 of the Government Code, or otherwise permitted by law. The Contractor shall be the beneficial owner of any security substituted for monies withheld and shall receive any interest thereon. Invitation to Bid forms, Special Provisions and amendments to Standard Specifications for Public Works Construction, and Districts’ Drawings may be obtained, at the above stated address. Copies of the Standard Specifications for Public Works Construction may be purchased from a professional bookstore. The Purchasing Agent reserves the right to open all bids submitted. The right is reserved to reject any and all bids, to accept one part and reject the other, and/or award an order as will best serve the interest of the Districts. Unless all bids are rejected, award shall be made to the low, responsive, responsible bidder. In the event of any such rejection, the Districts shall not be liable for any costs incurred in connection with the preparation and submittal of a bid. At time of bid, the Contractor shall possess a valid California Contractor’s License in one of the following classifications: A, B, C-36, or 42. Pursuant to applicable provisions of the Labor Code of the State of California, not less than the general prevailing rate of per diem wages and not less than the general prevailing rate of per diem wages for legal holiday and overtime work for each craft or type of workman needed to execute the work contemplated under this agreement, as ascertained by the Director of the Department of Industrial Relations, be paid to all workers employed on the work by the Contractor or by any subcontractor doing or contracting to do any part of the work. A copy of the listing of the general prevailing wage rates may be obtained from the State of California Department of Industrial Relations Division of Labor Statistics and Research, Prevailing Wage Unit, P.O. Box 420603, San Francisco, California, 94142-0603, or by, visiting their website at www.dir.ca.gov. This is a public works project subject to the prevailing wage requirements of the California Labor Code, Division 2, Part 7, Chapter 1. No contractor or subcontractor may be listed on a bid proposal or awarded a contract or subcontract for this project unless it is registered with the Department of Industrial Relations and pays the required $300 registration fee pursuant to Labor Code Section 1725.5. This project is subject to compliance monitoring and enforcement by the Department of Industrial Relations. For further information regarding the Special Provisions, please contact John Westergaard. Any inquiries in reference to the Invitation to Bid form should be directed to Maribeth Tan at (562) 908-4288, extension 1402. By order of the Purchasing Agent of County Sanitation District No. 2 of Los Angeles County. on Tuesday, August 16, 2016, for Rental of Backhoes and Dump Trucks with Operators at Various Districts Landfills. All bidders are encouraged to attend a non-mandatory site visit on Thursday, August 4, 2016 at 10:00 a.m. at the Puente Hills Landfill. Bidders shall confirm attendance to Mr. Sam Shammas no later than 2:00 p.m. on August 3, 2016, at (562) 908-4288 extension 4757. All work shall be performed in accordance with Districts’ Specifications dated, June 2016. Bidders on this work will be required to comply with the President’s Executive Order No. 11246. For further information regarding the Specifications, please contact Mr. Samer Shammas at (562) 908-4288 extension 4757. Any inquiries in reference to the Invitation to Bid form should be directed to Ms. Cheryl Shea at (562) 908-4288, extension 1401. Notice is hereby given that sealed bids will be received by the Purchasing Agent or Purchasing Agent’s designee of County Sanitation District No. 2 of Los Angeles County, at the Office of the Chief Engineer of the District, 1955 Workman Mill Road, Whittier, California 90601, up to the hour of 11:00 A.M., on Wednesday, August 10, 2016 for Furnish and Install Galvanized Steel Grating and Stair Access at the Whittier Narrows Water Reclamation Plant in South El Monte, California. All work shall be performed in accordance with Districts’ Specifications dated July 2016 and the Standard Specifications for Public Works Construction, 2012 Edition, complete with the District Amendments dated 2012, which are on file in the Office of the Chief Engineer of the District, 1955 Workman Mill Road, Whittier, California 90601, to which documents bidders are referred. Each bid must be on an Invitation to Bid form to be obtained at the Office of the District at the above-stated address and must be accompanied by a certified cashier’s check, certificate of deposit or approved corporate surety bond from an admitted surety insurer, payable to “County Sanitation District No. 2 of Los Angeles County,” for an amount equal to at least ten percent (10%) of the amount of bid as guaranty that the bidder, if successful, will enter into a contract satisfactory to the Board of Directors for the doing of the work contemplated. Should the successful bidder fail to enter into a contract and to furnish said bonds, the full sum of the bid deposit or bond will be paid to or retained by the District as liquidated damages. Invitation to Bid forms, Specifications and amendments to Standard Specifications for Public Works Construction, and Districts’ Drawings may be obtained, at the above stated address. Copies of the Standard Specifications for Public Works Construction may be purchased from a professional bookstore. At time of bid, the Contractor shall possess a valid California Contractor’s License the following classification: A. For further information regarding the Specifications, please contact Mary Lee at (562) 908-4288 extension 3540. Any inquiries in reference to the Invitation to Bid form should be directed to Maribeth Tan at (562) 908-4288, extension 1402. The Los Angeles County Department of Beaches and Harbors is seeking a qualified and experienced contractor to manage 19 beach parking lots from Nicholas Canyon (near the Ventura borderline) to White Point (in San Pedro) and 16 parking lots in Marina del Rey. Selection of a contractor will be based on the qualifications of the firms submitting Proposals as well as their prices for performing the work. 12505 Vista del Mar, Playa del Rey, CA 90293. The deadline for submitting proposals will be 2:00 p.m., August 11, 2016. Firms submitting proposals must have a minimum of five years’ experience providing parking lot management services of multiple facilities with a minimum of four thousand spaces. The County may require additional minimum qualifications. 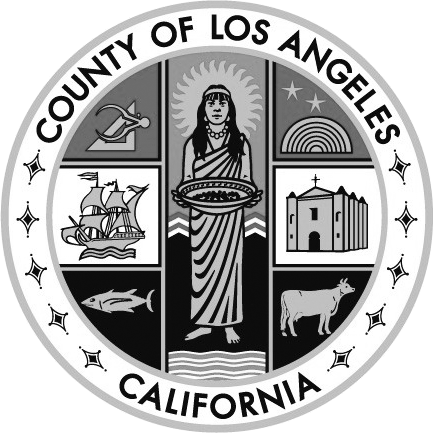 The contract will be subject to the County’s Living Wage Ordinance, County Code Chapter 2.201.
beaches.lacounty.gov/wps/portal/dbh/doing, and click the “Request for Proposals“ link. to be sold at 10:00 am on 7/26/2016 @ 18822 Parthenia St., Northridge, CA 91324.
to be sold at 10:00 am on 7/26/2016 @ 12565 Strathern St N Hollywood, CA. TO BE SOLD AT 7:30 PM ON 07/28/2016 @ 16139 STAGG ST., VAN NUYS, CA. 91406.
to be sold at 10:00 am on 8/2/2016 @ 12565 Strathern St., N. Hollywood, CA. to be sold at 10:00 am on 8/2/2016 @ 21618 Golden Triangle Rd., Santa Clarita, CA. TO BE SOLD AT 7:30 PM ON 08/04/2016 @ 16139 STAGG ST., VAN NUYS, CA. 91406.